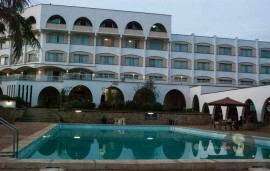 Salient Guest House is located 15 minutes from the airport in Eldoret and five and half hours from Nairobi. It is situated along Elgeyo road that is off the Eldoret-Nakuru Highway and just 10 minutes away from the town of Eldoret. 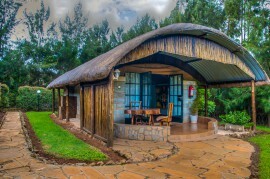 The Guest House was originally designed and built to accommodate private international athletic coaches who visit the re-known athletic training camps around Eldoret town. Salient Guest House provides ab ambience of a private and affluent estate that is nestled in one of the scenic spots in Eldoret town. 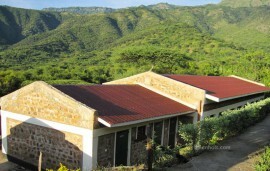 Salient Guest House offers high quality bed and breakfast accommodation for the traveler seeking value and convenience. The stylish and self contained rooms in Salient Guest House provides each guest with a touch of elegance and a homey feel. It ensures budget accommodation, which allows for significant savings for business and leisure travelers. Salient Guest House has a small conference room with fitted facilities for conferencing and business meetings.